Taking pictures from my kids and old computers has become the major part of my fotography and to tell the truth: all pictures are taken with the iphone camera. The quickness of pulling it out of my pocket and having it ready within seconds is key to freeze the right moments with your kids – shooting with one hand only, while holding back my daughter from hazzardous traffic with the other is another big point why my trusty D90 is covered with dust. 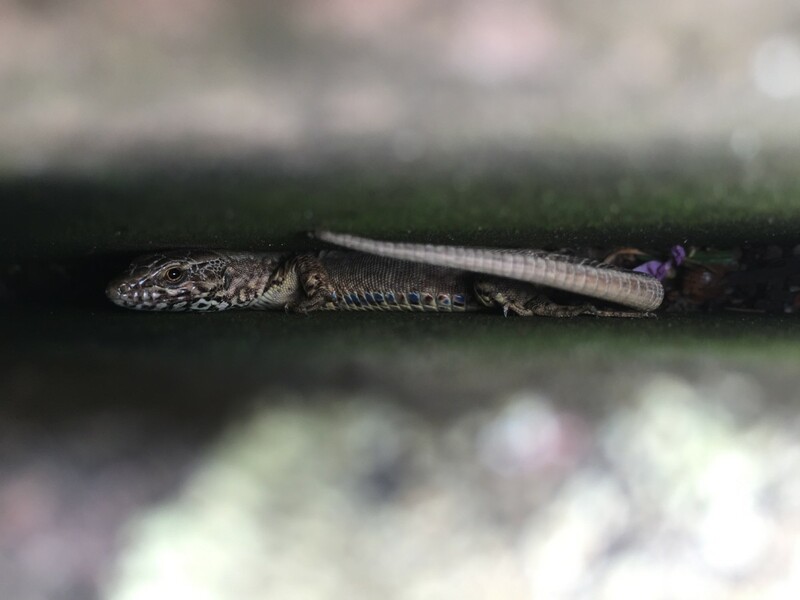 Marie discovered a lizzard today and it vanished into a gap, between two stones. The gap was shallow and so I gave my iPhone cam a try. Take a look… I am very pleased with the result and it looks really good, as long, as you don’t start to zoom into the details with lighroom, where you can see the algorithm of noise reduction and balance struggle with the nature of this tiny sensor chip. Let’s see how they will improve the next cameras.